Welcome to the SUNY Orange Satellite Centers webpage. 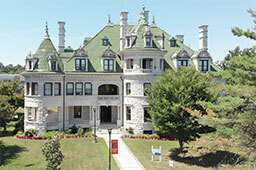 In addition to the Middletown Campus and the Newburgh Campus, credit and non-credit courses are also offered at Sarfatti Education Center in Port Jervis. As part of its commitment to our surrounding community, the variety of course offerings enable individuals to take courses towards a degree, expand their job skills or take some personal enrichment classes closer to home or work. SUNY Orange credit course offerings for the current semester can be viewed by going to our Online Schedule Database, and selecting the relevent campus. SUNY Orange Continuing and Professional Educations' non-credit course offerings for the current semester can be viewed by going our Continuing Education website.